Lost is the kind of show that only comes around once in a generation. It's rare for a show to grab so many people, and keep them interested for many years, and many story arcs. The only thing it seems fair to compare it to is Star Trek, in that it probably only truly affected a small percentage of the population, but it's cultural influence will be undulating through the culture for a long time. It's already had an effect. In 2004 Scripted Television was dead; reality ruled the day. It was cheap, and easy to produce; and people were eating it up. You had your stalwarts and hold overs from 90's like Law and Order, ER and procedural like CSI, but for the most part creativity was gone from television. The excitement was gone. Most watched TV out of habit. On September 22, 2004 this all changed. Lost premiered, and people were exciting again. What most interesting about the marketing leading up to the pilot was that it gave almost no hint that it was anything more than a castaway story. People tuned in to see a show about a plane crash, and instead were sucked into a mystery not seen in any media for along time. Each and every week the story was built up, new mysteries were explored. Internet boards were a chatter with speculation and theories about what the Island was any why were they there. As success became apparent it's obvious that media executive saw the benefits to serialized Drama and it's ability to pull an audience along for an entire season. If you make every episode must see, then people will watch. Lost doesn't get all the credit. In fact Lost owes a lot to 24 in this respect; which also broke the mold on how Serialized TV should work. The other area where Lost changed TV is in "Genre". In 2004 there was no Science Fiction or Fantasy anywhere on network television. Fox had been trying for years to fill it's Friday Night Death Slot with genre friendly shows for the losers at home on Friday Night. Firefly had failed in spectacular fashion a year earlier. If one looks at the television landscape post Lost, and the sheer number of "genre" shows that have gotten green lit is amazing. Hits and misses yes, but the mere fact their getting a chance is proof the world has changed. After 6 successful seasons Lost came to an end last Sunday. The date of it's demise was announced three years ago; an odd move for an American TV shows are normally milked dry before they're canceled without fanfare (see: X-Files and 24). The producers of Lost though wanted a hard date set so their writers could start thinking of how it was all going to end. It's strange to think about writers struggling to end a show, but the first two seasons the hook was seeing how far we could go down the rabbit hole. Each episode introduced new mysteries, and very few were ever answered. The casual viewer could easily discern from these episodes that the writers were just making stuff up as they went along, for many this was a turn off and probably could be blamed for it losing some percentage of it's audience between seasons two and three. Letting the writers set an ending date throw allowed them to focus on the end, and decide how to tie up the loose ends, and explain some of these mysteries without creating new ones. It was in this period that many gave up on the show; even if they still watched, they lost faith. 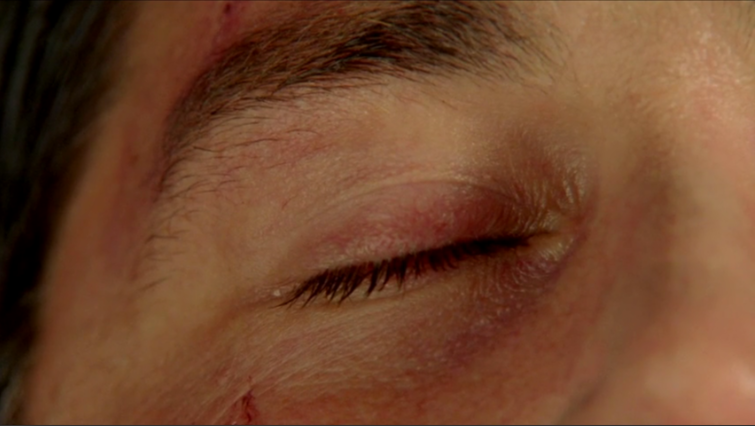 This simple phrase uttered by Locke in the final moments of the first season sums up the entirety of Lost the series. Lost was a Journey that we all took with primarily Jack Shepard on his quest to transition from a Man of Science to a Man of Faith. The castaways all had flaws, we spent many seasons with them exploring these flaws and how they affected their lives up until the point of their arrival on the Island. Their goal on the island and in life was to find their purpose. To, despite their flaws and mistakes in life, discover that faith in others and faith in oneself is the key to eternal happiness. As mentioned before this Journey was shared with the viewer. They too were being asked to make this transition from the world of the Rational and the World of the Irrational. Those who failed to make this transition found themselves in the end unsatisfied by how the story ended. It was sad to see so many reviews come out after the fact be negative in nature; how could it be so many people didn't get it? What is also interesting about these negative reviewers is they almost always bring up season one and season two as their favorite seasons. This is interesting as these were the two least coherent of the seasons. The writers really were making it up as they went along, and knew it. Alas, they were never going to be satisfied. They'd decided long ago that there was no way that all the mysteries of the Island were going to be explicitly or implicitly explained. They lack imagination and yes faith. They never made the transition. They went six years, like Jack, wanting answers. Wanting the "Truth." The "Truth" doesn't matter. There is no "Truth," it doesn't exist. The meaning of the finale and the meaning of the show is clear. You don't need science, you don't need answers, you don't need to know "why they died." All you really need to have is faith in what you believe, whether it's right or wrong, which will lead you down the path to righteousness. The final episodes gave us incite into these mechanisms, and the overall mythos of the Lost universe. First as always is the question of free will. The characters each have a purpose, they've been pushed along in their lives by Jacob to achieve this purpose. We learn though that everyone has free will. Micheal and presumably Eko were banished to the live on the island as whispers forever because they did not fulfill the purpose set forth for them. They had the free will to do or or not do, and chose to follow their own paths. Those who died after fulfilling their purpose were sent to "Purgatory" when they died to live the life they should have lived had they just learned to have faith and strength into themselves. When they've achieved happiness they become aware of their past life, and are given the opportunity to pass on. Even after becoming aware, they can stay in this happy place as long as they want. It's this what was truly important about Lost. It was the big question that needed to be answered. Why were they on the island? Because they were suppose to be. The small stuff, like food drops and four toed statues merely get in the way, they're distractions from the truth of the story. For those still not satisfied, fear not. A franchise like this cannot remain dormant. There will undoubtedly be novels and comic books, maybe even a Christmas special... The events we were allowed to see were but a small portion of the whole time line. Lets hope they have the incite to keep the "extended universe" to the Star Trek model and not the Star Wars Model. Little known fact is that at Paramount there is and office to where all Star Trek related material in any media must go and be certified canon before it can be published. LucasArts on the other hand doesn't pay much attention to it's extended universe, and maintains a policy that only the films and other media specifically produced by LucasArts is officially canon. This makes for simple administration but it's a nightmare for detail obsessed fans. 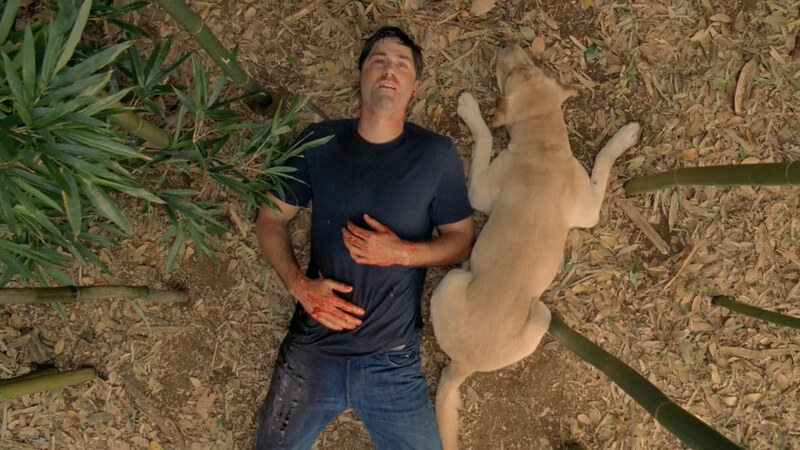 Farewell to Lost, you'll be dearly missed. You ended as you began, and proved to us all that if you live together you'll never die alone.